Is Bhutan Worth Visiting? 10 Reasons Why You Need to Book a Bhutan Tour Right Away! With a love of adventure, we scour the globe on the hunt for memorable experiences. We cater to all budgets - from unexpected bargains to the most breath-taking of luxury. If an experience has that 'wow factor', we're in! We hope Exploring Kiwis will help fuel your wanderlust and give you the practical information to make your next getaway one to remember. 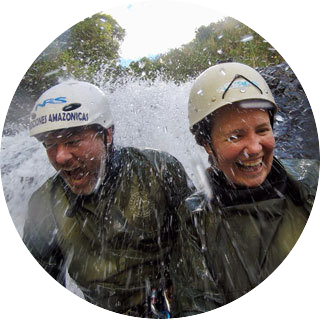 We're Sarah and Nathan, a couple of Kiwis on the hunt for fun and adventure. Based in New Zealand, but travelling world-wide, we're stoked to have you along for the ride!